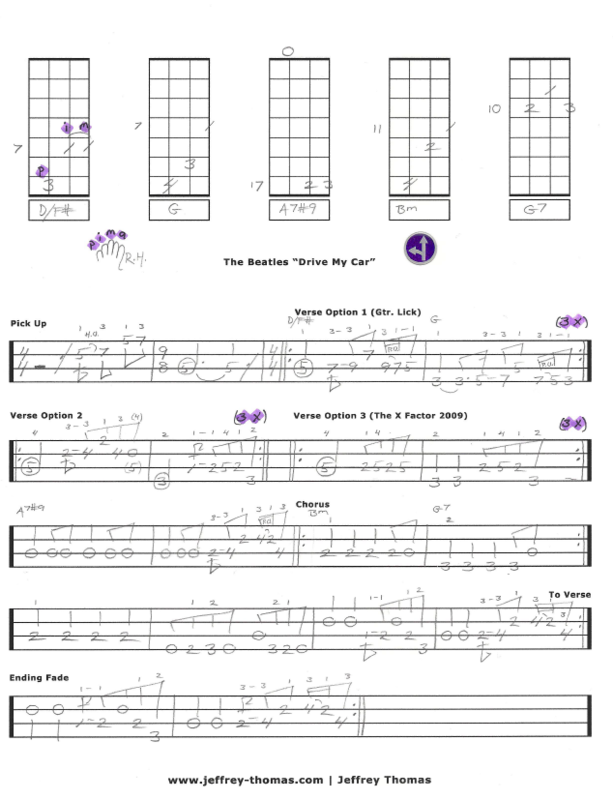 Learn to play “Drive My Car” by The Beatles on bass with my free video bass lesson and bass tab. The lesson explains the intro pick-up, 3 verse options, chorus & ending fade. Left hand slide, hammer-on, pull-off, grace notes explained and played with a metronome. Additional triads added for chord playing options. This is a very popular tune with my bass students. Want the bass tab for free? Just send in your email address using the form provided. Looking for online bass lessons? Fill out the Schedule A Free Lesson form to set up your free Skype bass lesson today! This Beatles tune is from their Rubber Soul album from 1965. I hope you enjoy this free online bass lesson and check my video bass lesson archives for more cool, unique bass material.